New Mexico is one of those states. The “land of enchantment” was one of the first in the nation to identify schools for comprehensive support, releasing its list of schools in the fall of 2017. New Mexico has taken advantage of every possible flexibility offered in ESSA to drive high-quality school improvement. The state allocates federal school improvement funds through a competitive process to ensure that the best plans have sufficient resources to succeed. New Mexico also leverages a provision in ESSA that allows states to set aside 3 percent of their overall Title I funds for direct student services, funds it uses to expand access to advanced course work and better instructional opportunities across the state. (New Mexico is one of the few states to implement either approach, much less both.) State education leaders also maintain a high bar with districts by approving only evidence-based school turnaround plans that are likely to improve outcomes for underserved students. This fall, New Mexico Education Secretary Christopher Ruszkowski met with Alliance for Excellent Education (All4Ed) President Bob Wise to talk about the state’s commitment to supporting underserved students and the state’s bold, innovative strategies to improve low-performing schools. Watch the interview below. In addition to these statewide steps, New Mexico is pioneering an intensive partnership, known as the High School Redesign Network, to support transformation and improvement in nine low-performing high schools. The New Mexico Public Education Department (PED) selected the participating high schools, all identified for comprehensive support, through an application process and interviews to determine the schools’ “will and capacity” for improvement. The schools face very different challenges. Some are big and some are small, some are charters and some are traditional schools, but all are low performing and many have been for decades. They also all serve mostly students of color, primarily Native American and Latino students, and students from low-income families. During the summer, staff members from PED, supported by the Everyone Graduates Center at Johns Hopkins University (JHU), trained school leadership teams on evidence-based approaches to turn around their schools. Once grounded in the research, the school teams began reimagining their educational approach. As part of that process, schools presented their new visions to “consultancy teams” on November 6 and 7 for feedback. The schools must submit their final school-improvement plans to PED on November 30 and will implement them in the fall of 2019. I was fortunate to sit in on the presentations by two schools in the network: Las Montañas Charter High School and Bernalillo High School. Las Montañas is a small charter high school located in Las Cruces, close to the Mexican border, while Bernalillo is a larger traditional high school located outside of Albuquerque. The schools have very different profiles, community and student needs, and visions for redesign. For example, Las Montañas plans to focus on strengthening relationships between and among students and school staff, while Bernalillo wants to build on its existing career and technical education programs to create meaningful college and career pathways for all students. But despite their differences, the network schools learn from each other in important ways. For example, both schools want to rework their master schedules, action they will tackle together with assistance from other schools inside (and outside) of the High School Redesign Network. The beauty of the network is that it offers flexibility for schools to tailor their turnaround visions to the specific needs and capacities of their communities, with sufficient structure, support, and accountability from PED to ensure that schools select evidence-based strategies and make measurable progress. School turnaround is hard, time-intensive work. There are no shortcuts. The visit I participated in was the third network convening in five months. Participating schools are supported by teams of experts from JHU and PED, and trainings and consultancies are specific and detailed. 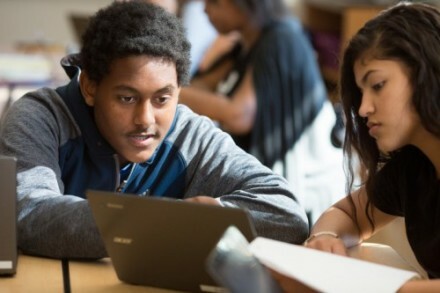 There is no doubt that the school teams participating genuinely want to improve outcomes for their students, but to be successful, they need ongoing, tailored support in everything from operationalizing the redesign vision to monitoring progress to adapting to new information about student achievement. The situation is no different in any other state. Educators and school leaders are committed to improving outcomes, but to succeed at scale they need expert help at a level never seen before. Given the limited levers that ESSA gives states, New Mexico’s approach is an effective way to drive high-quality school improvement plans and improve student outcomes in (at least a few of) the state’s lowest-performing schools and offers a model for other states. Anything short of this intensity of support, monitoring, and system of continuous improvement will lead to exactly what we have seen before—a total lack of improvement for the students who need our help the most. Lindsay Dworkin is director of policy development and state government relations at All4Ed.